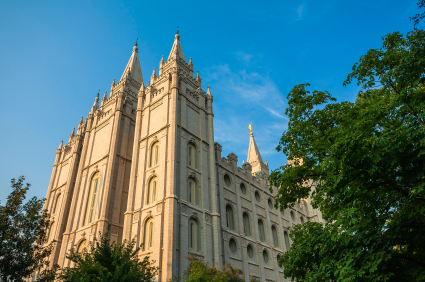 Zions Bancorporation is an unusual institution, founded by Brigham Young in 1873 as the Zion’s Savings Bank and Trust Company and owned by the Mormon Church until 1960. The company, commonly referred to as Zions Bank, operates in the American West and Southwest, taking in ten states from Arizona to Washington and remaining popular in its historic territory of Utah and Idaho. Zions has shed the reclusive image of the church, actively engaging their customers using social media, including Facebook. As a result, it’s next to impossible to find a harsh word about Zions’ performance, the sole exception being a suit concerning overdraft fees. Zions did the unexpected by putting in a bid to manage Facebook’s IPO. While the bank was not chosen, the publicity Zions gained was very good, letting them advertise the broker-dealer services offered by subsidiary Zions Direct, which would have handled the IPO using an online auction. If you want more information about how a lending partnership between a local bank like Zions and Sallie Mae works, there is a revealing explanation to be found here. Many private lenders have backed away from providing student loans directly, and Zions is no exception. When you visit Zions’ Student Banking page, you’ll discover that Zions advertises and links to Sallie Mae’s Smart Option Student Loan. As always, private loans should be your last resort for borrowing, but if you must seek help in the private market Sallie Mae is a nationally known lender, active in the student loan business since 1972. The following information summarizes the Smart Option loan as of 2013. The Deferred Repayment Option lets you pay any amount, or nothing, while you remain in school. The Fixed Repayment Option involves agreeing to pay a small amount which depends on the amount you borrow and the rate available at the time. The relevant page shows you that the $25 amount suggested applies to a relatively small loan of $10,000.Like much of the important information about Sallie Mae’s loans, that appears in the tiny print of footnotes. The Interest Repayment Option requires you to pay interest while you’re in school, but is the cheapest of the three options, partly because the interest rates for the other two are higher. Variable, between 2.25% and 9.37% APR. Always beware of a variable interest rate, because if the base rate rises in the future your variable rate will rise with it, increasing your payment amount suddenly and without recourse. Fixed, from 5.74% to 11.85% APR. If you let Sallie Mae automatically debit your loan payments from a checking or savings account, you receive a quarter of a percentage point off your interest rate (assuming your payment clears). During forbearance, and also during some types of deferment, you will not be eligible for that reduction. One way to obtain a lower interest rate is to apply with a creditworthy cosigner. If you make twelve full payments (meaning principal plus interest) after graduation, you can request that your cosigner be released from your Smart Option loan. The Smart Option loan does not charge an origination fee. Zions’ Student Banking page lists five products (including the Smart Option loan) and two services designed for students. Zions’ Student Checking accounts are reserved for those up to 26 years of age, although if you’re less than 18 your parent or guardian will need to cosign your application. If you want paper statements, you’ll pay $2 extra each month, and if you’re between 22 and 26, a deposit of $100 is required. Student Checking gives you five free checks per month (extras are $2 each), you may be eligible for overdraft protection if you pass a credit check, and if you make automatic loan payments you’ll receive an interest rate discount on the loan (three-quarters of a percentage point, as compared to Sallie Mae’s one quarter). Zions also offers a Student Savings Account, for students between 13 and 25 years old. The interest rate is advertised as exceeding the bank’s rate on money market deposits of one million dollars, and that applies to deposits below $2,000. Amounts above that cutoff earn interest at the Gold Statement Savings rate (rather than the Gold Money Market Rate). No minimum deposit or balance is required. Other products and services, like the Kids Savings Account and Zions Pays For A’s, are intended to benefit younger students.